2018 IWA Show Final Look - Last But Not Least! 2018 IWA Show Final Look – Last But Not Least! This is the final HAM report from the 2018 IWA Show. 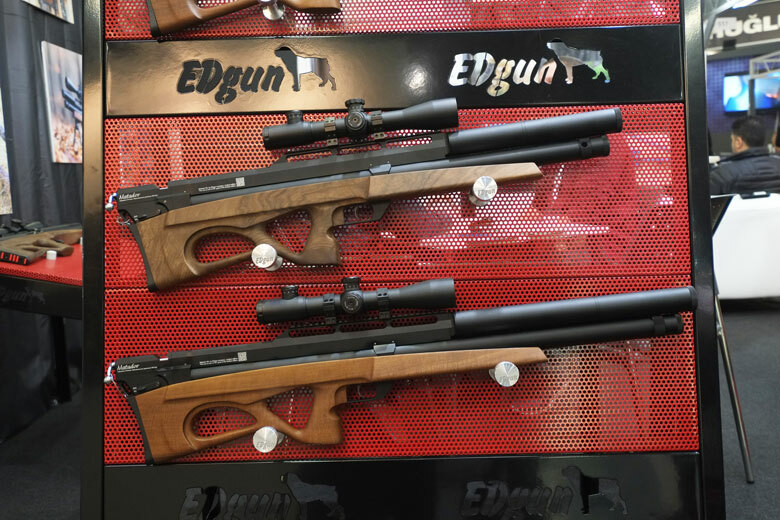 In it, we’ll cover some more airguns, together with a few of the other sights to be seen at the show. There’s always a huge amount of interest among HAM readers for Weihrauch products! So many of you will probably be interested in the new HW45 Bronze Star. 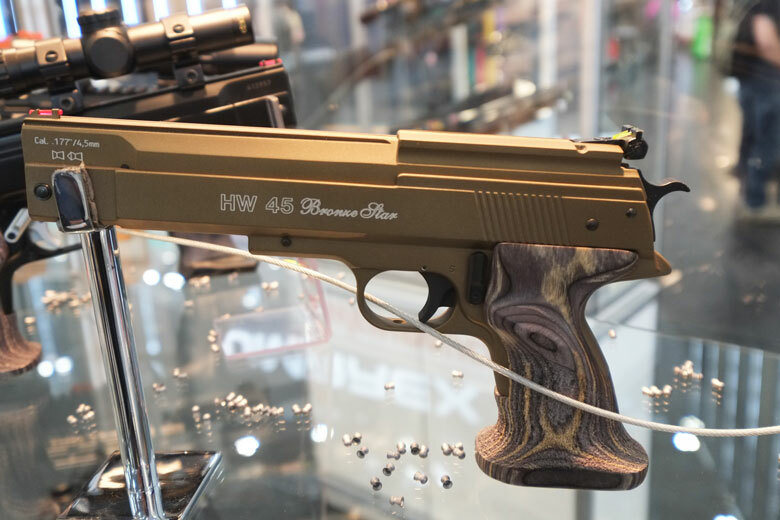 This is a Cerakote-finished version of the classic HW45 and you can see it in our heading photograph above. Also below. 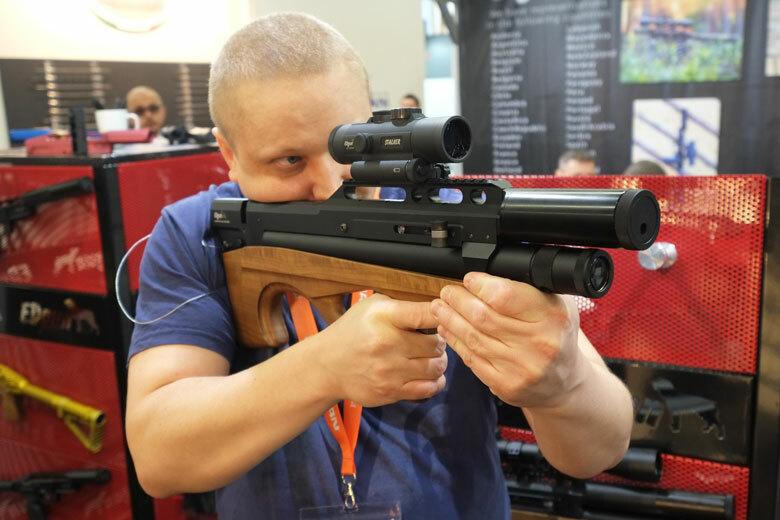 Actually, the 2018 IWA Show was definitely the year for Cerakote-finished airguns. They were visible at multiple booths, including here and with the Brocock Commander we saw in an earlier report. 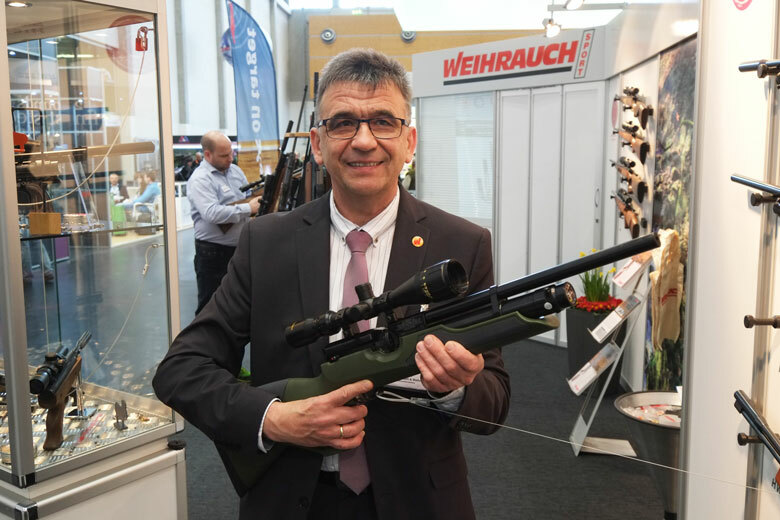 Meanwhile, Michael Sick from Weihrauch also kindly showed me the attractive, green stock version of the HW110 air rifle, below. 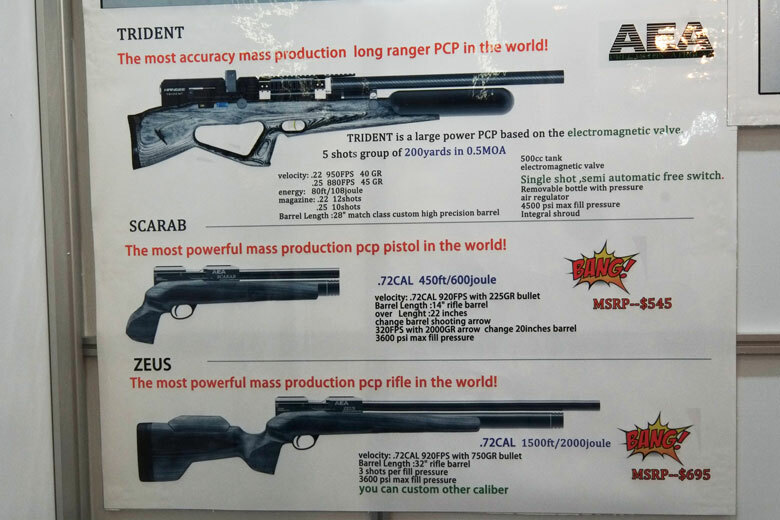 Of course, there were some interesting PCP air rifles to be found from Russian manufacturers. 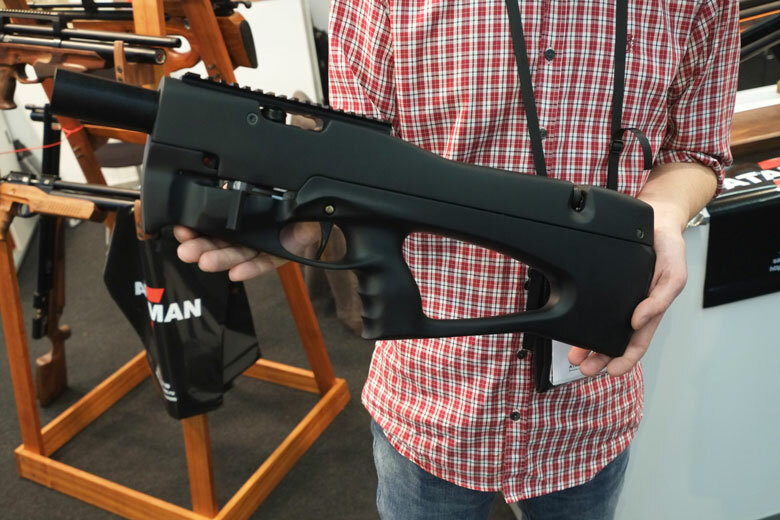 First, we stopped at Ataman, where Rustam Nadyrov showed me a prototype of the forthcoming Ataman BP17 bullpup. I was excited about this gun last year and still am! 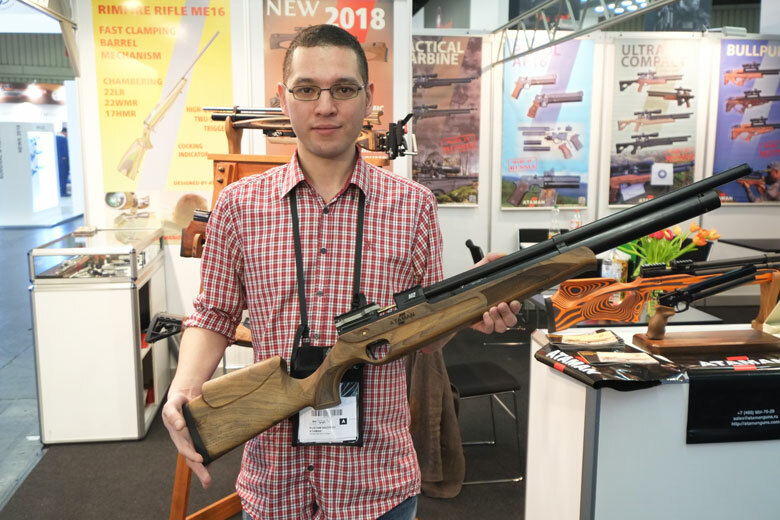 Rustam tells me that we should see production guns in 2018. 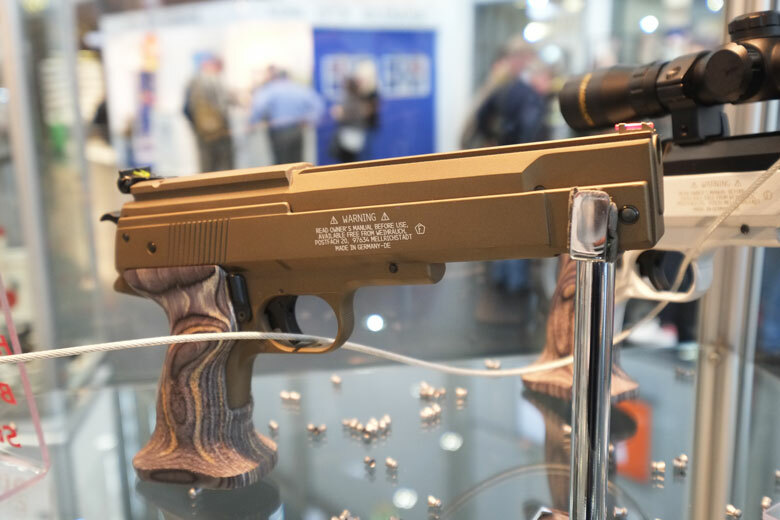 Crosman was also an exhibitor at the 2018 IWA Show. 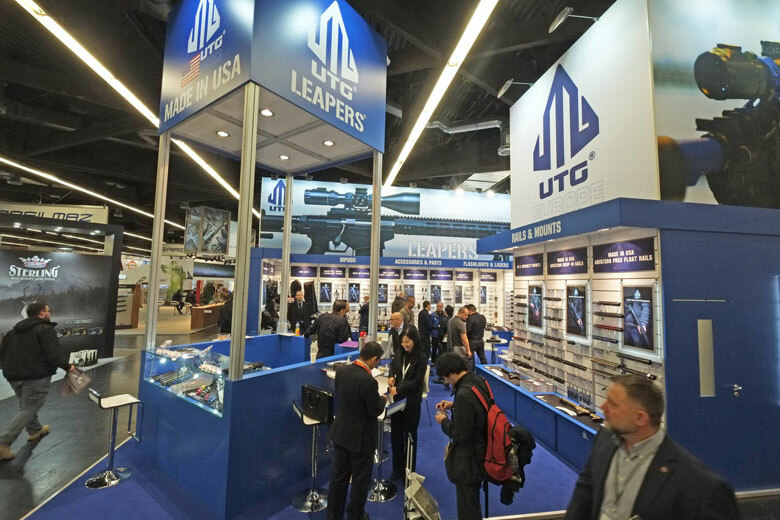 Naturally, the SHOT Show is their main venue for new launches. 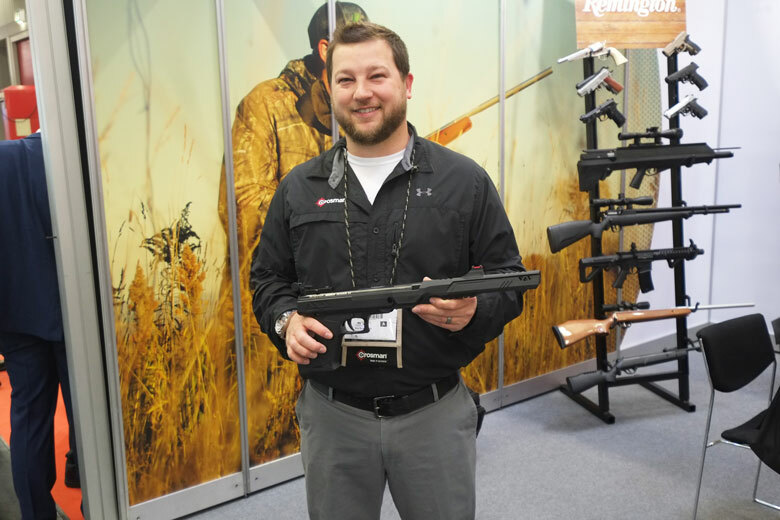 However, it was great to meet-up againwith Airguns Product Manager Phillip Guadalupe. He showed me the new version of the Benjamin Trail NP Mark II Pistol that I somehow had failed to cover in our HAM reports from the SHOT Show! I didn’t find any new products at the Feinwerkbau booth. 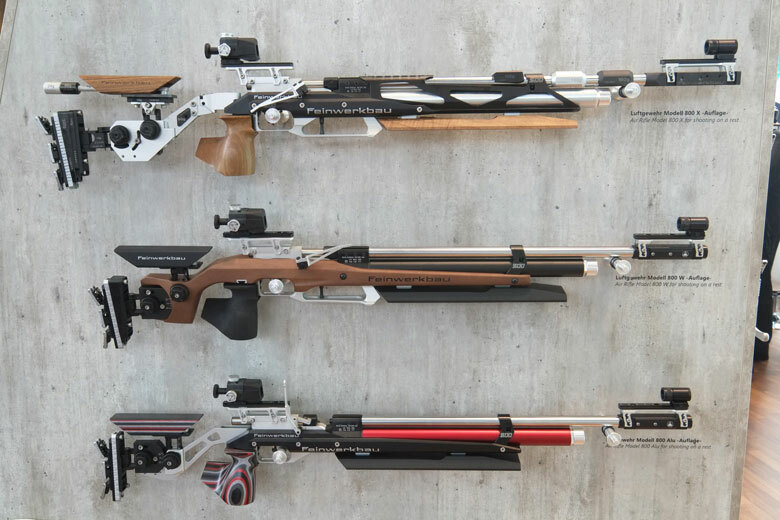 But that didn’t stop me from taking a good look at these beautiful German-made precision target rifles! 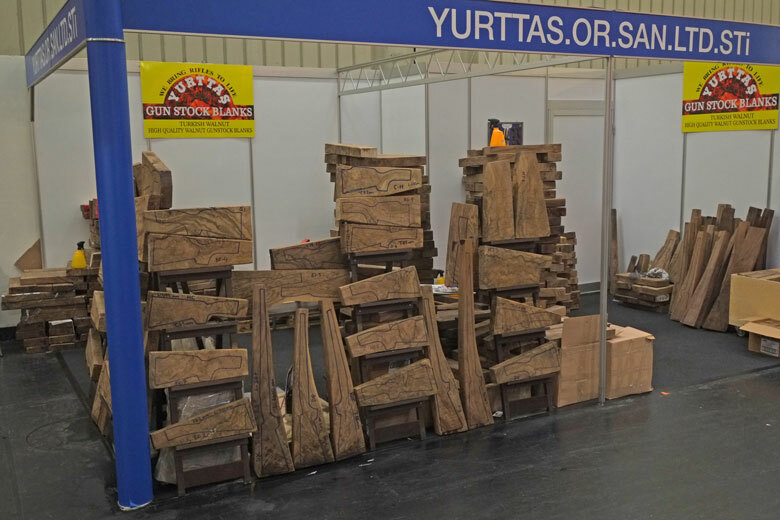 One interesting non-airgun aspect of the 2018 IWA Show was the number of Turkish companies displaying beautiful walnut stock blanks. There’s several of these booths and they’re here every year. Even in this rough-cut stage, it’s clear that some beautiful stocks will be built from them for high end custom shotguns and rifles. 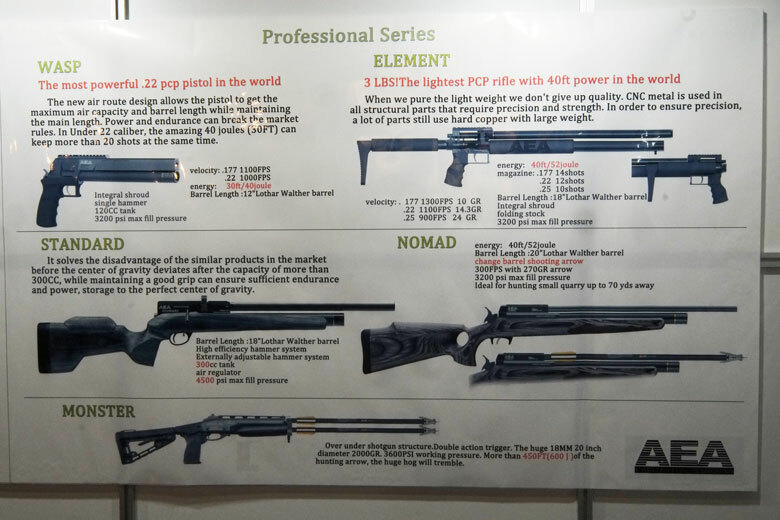 Finally from our roundup of the 2018 IWA Show, we should mention the booth of the Chinese company AEA Precision Airguns. This booth is notable for showing no actual guns. 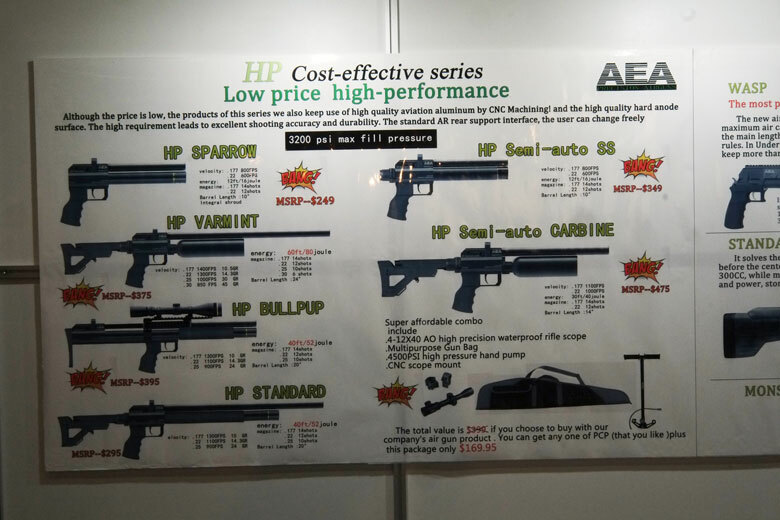 However, they displayed a range of drawings of sophisticated-looking PCP air rifles and air pistols. The drawings looked great, the specifications fantastic and the prices incredible! Apparently, the guns themselves had been held-up in Customs, I was told. Huh??? But several of us remembered similar drawings (again with no sample guns) being shown at last year’s show with – we think – a different company name.